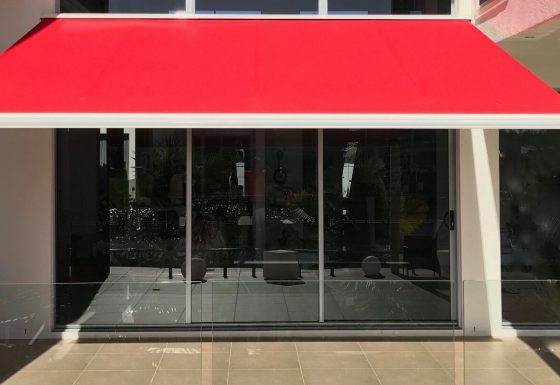 Supaview Security & Sunscreen are proud to be a manufacturer of SlideTrack, one of the most innovative ways to enclose a pergola or outdoor area. 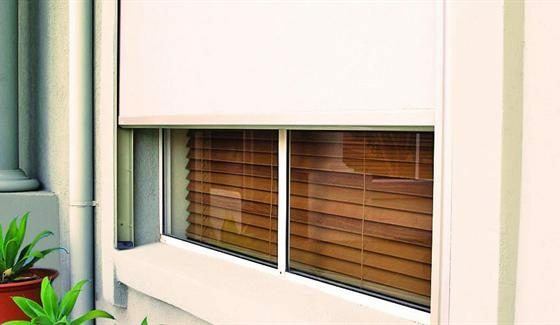 SlideTrack differs from other clear PVC and mesh blinds in the way it is held on all four sides to prevent billowing in the wind. The material rolls from the top down and has a spline welded onto the sides of the fabric which holds the blind tight in the side channels. On our SlideTrack blinds, the bottom rail is held in the down position via two centrally operated locking pins. position when the pins hit a fixing point. This means you no longer have to bend down whilst holding the blind and trying to clip it off like you used to. 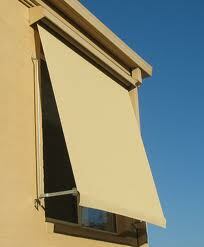 As an option we can install your SlideTrack blinds with crank operation or motorised with a remote control. For the tracks and bottom rail, a large variety of colours are available in our SlideTrack range. These include 8 standard colours and the full range of Dulux Powder Coat colours are available as an option. When it comes to fabric, the possibilities are almost endless. 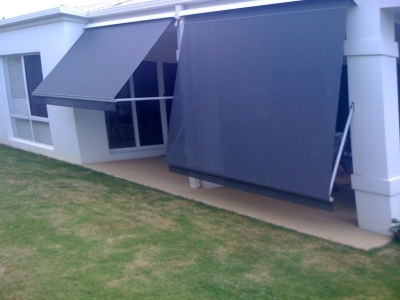 SlideTrack Blinds are a breeze to use as there are no ropes, pulleys, zippers or straps, they blinds also include a sealing strip or valance at the bottom helps keep insects out. Intermediate locking positions are easily provided as the bottom bar is firmly located within the side tracks resulting in a strong design without wear marks. 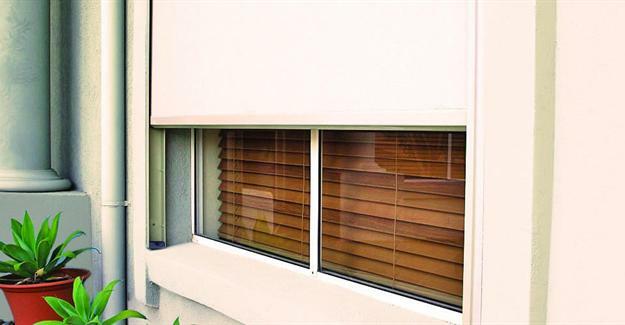 Exposed parts are made from stainless steel and aluminium and with the screening fabric held securely in the side tracks, there is no need to keep the sheet tightly stretched.